How do I connect my Gear S3 Classic to a Samsung mobile device? 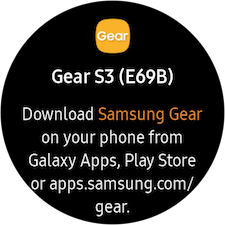 Before using your Gear S3, you will need to connect it to a mobile device using the Samsung Gear app. 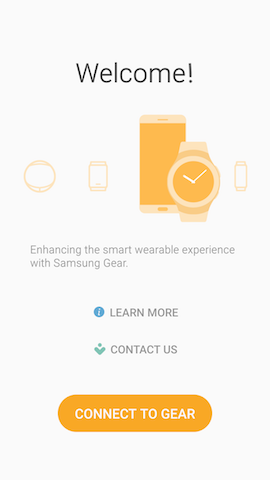 On your mobile device, download the Samsung Gear app from Google Play store or Galaxy Apps. The app must be installed on your mobile device before you can begin the connection process. 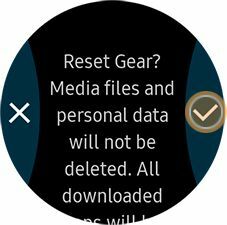 Note: Both your Gear S3 and mobile device must be turned on prior to connecting, and your Gear S3 must be in pairing mode. Refer to the section below for pairing mode instructions. 3. Touch CONNECT TO GEAR. 4. 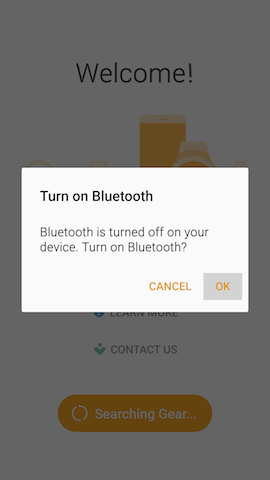 Touch OK to activate Bluetooth, if you did not turned it on previously. 5. 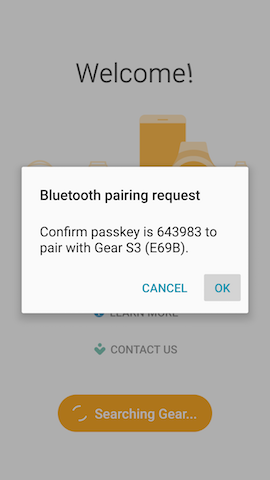 Touch OK to confirm the Bluetooth pairing request. 6. 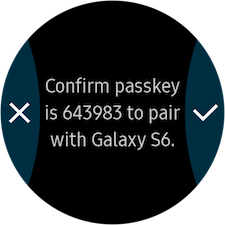 On your Gear S3, confirm the passkey matches the one on your mobile device. Touch the check mark to confirm. 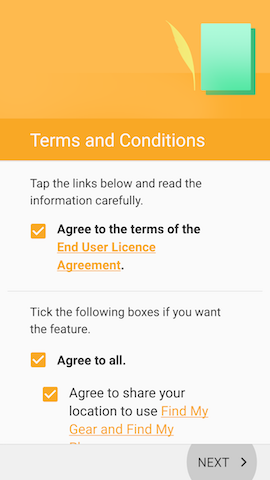 7. Review the End User License Agreement, and mark the checkbox to accept all the terms and conditions. Mark the Agree to all checkbox to agree to the additional terms. Touch NEXT to continue. 8. 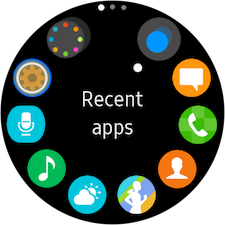 Touch the PLUS icon. 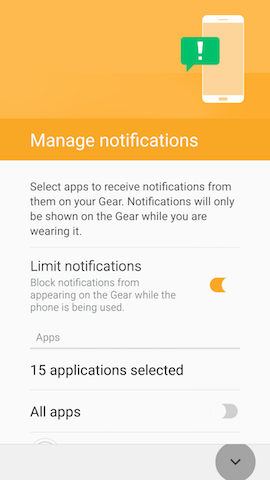 Then, touch the sliders to choose when notifications will display on your Gear S3 and which apps can send notifications. 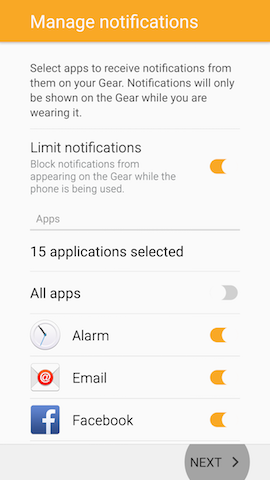 You can also change these settings from Gear Manager on your mobile device. Finally, touch NEXT to complete initial setup. 9. Your Gear S3 is now connected and ready for use. Pairing with a different mobile device requires you to perform a light reset of your Gear S3. Follow the steps below to perform the reset and activate pairing mode. 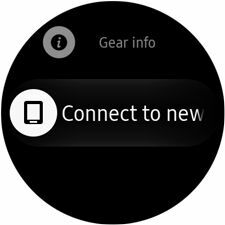 Then, you will be able to connect your Gear S3 to a different mobile device. Important: The light reset will not delete your personal data or media files, but will delete any apps you have downloaded. 3. Rotate the bezel clockwise and touch Connect to new phone. 4. Review the information and touch the check mark to confirm the reset. 5. After a short period of time, your Gear S3 will restart in pairing mode.